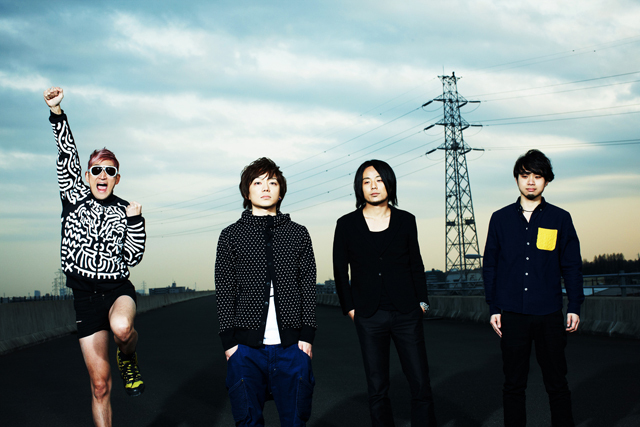 A quartet band consisting of Shingo Kanehiro (Vo, G), Koichi Watanabe (G, Cho), Tanashin (B, Cho), and Pegi (Dr, Cho). Originally formed in 2001 under the name “for better, for worse” in Hachioji. The band went on break in 2006 and got back together under the current name in 2007. All lyrics were written in English during the for better, for worse era, but switch to Japanese lyrics along with the change to the band name. Sound also became more pop. The band has been under the current lineup since 2008 and has been actively holding many self-produced events along with constant releases. Held their first one-man tour in 2012, which saw great success. Made their major label debut in May 2013 from Nippon Columbia with their 1st full-length album “Mirai e no Spiral”.